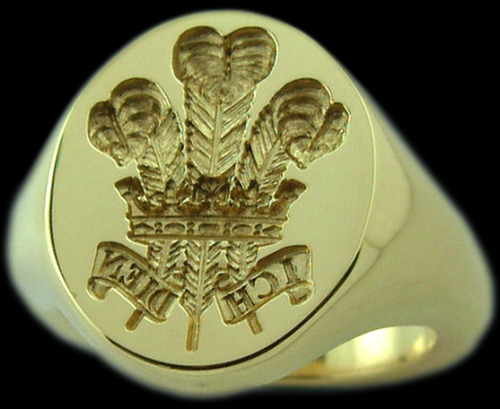 The ring, which is more than 175 years old, is the official signet of the Prince of Wales. Before Prince Charles, it was last worn by King Edward VIII when he was still Prince of Wales. 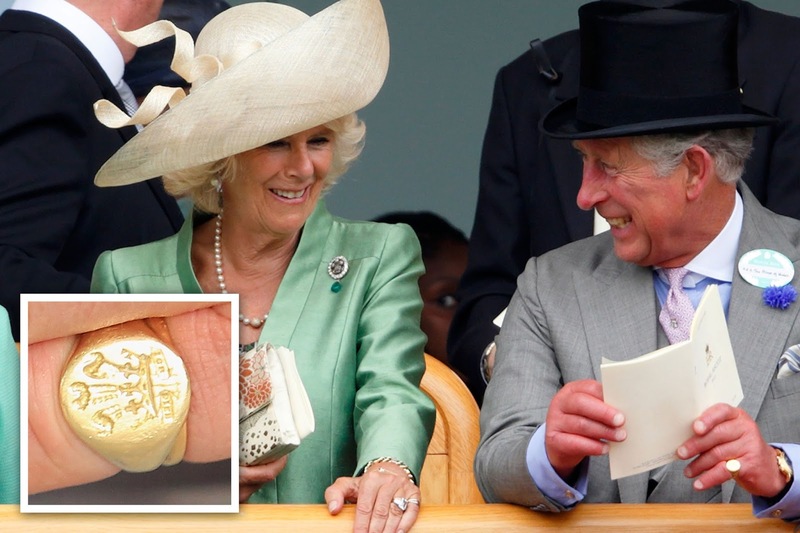 Since his marriage to the Duchess of Cornwall, Prince Charles has added a wedding band to his little finger, in a stacked fashion. The Duchess of Cornwall also wears a signet ring on the little finger of her left hand to prove that it isn’t just what has been referred to as the ‘gentleman’s ring’. As an enlightened reader, you may already be aware that signet rings aren’t merely decorative jewellery. Oh no! In the days of yore before electronic wizardry, signet rings were used to authenticate important correspondence. Traditionally, a family crest is engraved in reverse on the bezel of the ring (although initials, letters and monograms are also popular). This allows one to wax signature seal correspondence with one’s family mark. By dipping the signet ring into hot wax or soft clay, it leaves a distinct seal that was once considered to be more official than that of a signature. Dating all the way back to ancient Egypt, signet rings are seen as a symbol of great power and authority and popular among the aristocratic and Church alike. Indeed, each Pope wears one which is then destroyed after their demise. In the 14th century, King Edward II decreed that all official documents must be signed with the King’s signet ring. I love this! As society has a keen obsession with royal or heraldic traditions, titled aristocrats naturally took to wearing them. Like anything, signet rings have been in and out of vogue. At one point, they found themselves left forlornly in the family jewellery box, with people preferring to have their seals placed in an ornamental mount or on a fob. Signet rings also became the means by which power and authority was transferred to one’s rightful heir. Thus, it became the practice to hand the signet ring down from father to son, through the generations. I love the idea that a villain might steal, or attempt to steal, a gentleman’s signet ring for some nefarious purpose and in so doing, symbolically steal their status and power. I tried to dig out an example of this but sadly, I had no luck! For many families in the upper echelons of society, it also became tradition for the whole family to wear them, with a family signet ring presented on your 21st birthday. Heraldry is a fascinating subject. Dating back to the 12th century, heraldry is the process of granting and designing coats of arms specific to a family. They are known as a 'coat of arms' as the symbols were drawn onto the coat of a soldier's clothing, allowing him to be identified quickly as either a friend or foe on the battlefield. The fact that family crests evolved from the battlefield is quite brilliant so no wonder people are still so protective of them. If you quite like the idea of having your own coat of arms, you need to submit an application for a Grant of Arms with the College of Arms. Fair warning! If you are fortunate to get past the approval stage, the creation of a new grant of arms and crest costs an eye-watering £5,500. What's more, the design process can take as long as a year. This is because each new design must be completely unique so some poor person has to manually trawl through more than 100,000 existing designs. Crikey! The Duchess of Cambridge's coat of arms is a recent example of this. 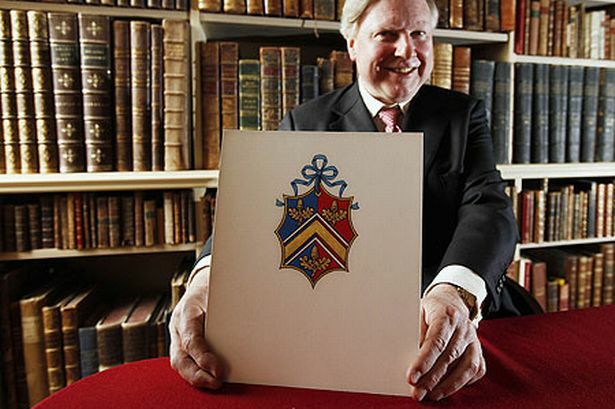 The Duchess's father, Michael Middleton, submitted the request so that the new coat of arms could be used, enjoyed and inherited by the whole family. The Duchess's brother James and sister Pippa are regularly seen sporting their new signet rings, featuring the Middleton coat of arms. Tradition dictates that a signet ring should be worn with the seal facing you, rather than away from you. Once again, this dates back to battle, where it was never the 'done thing' to bear your arms to the enemy. Although there does not appear to be any fixed rule on which finger should become encircled by a signet ring, the most popular place to wear one is on the smallest finger on the non-dominant hand. As most people were right-handed (or like my grandfather, forced to use their right hand), signet rings are more readily seen on the pinkie finger of the left hand. Now, you might be wondering 'why the little finger?'. 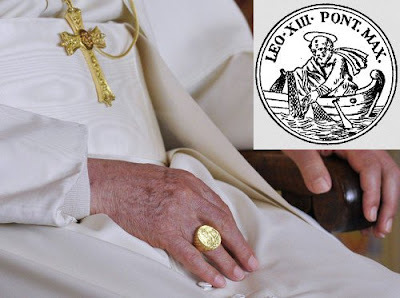 Well, the idea to wear the signet ring on the smallest finger was to make it as accessible as possible for the wearer to spread their wax seal. There are a number of famous signet ring wearers including President Roosevelt and Sir Winston Churchill. Steve McQueen was always pictured wearing his chunk of gold on his left fourth finger. 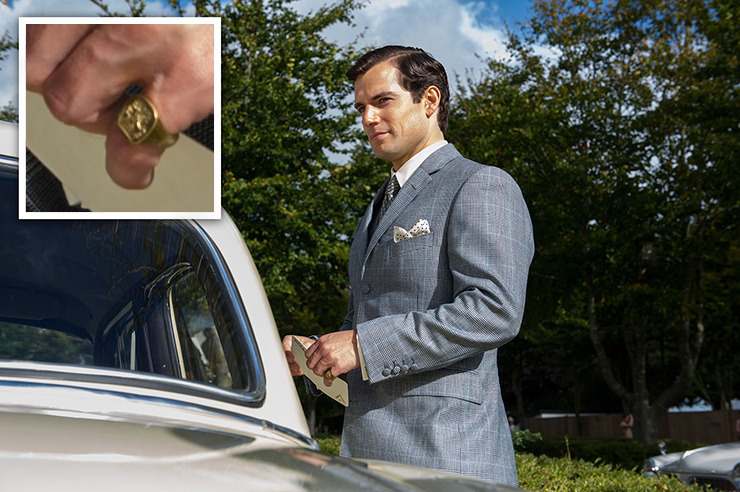 If you happened to watch Guy Ritchie's film version of The Man From U.N.C.L.E then you may have spotted a signet ring on Napoleon Solo's left pinkie finger. Apparently, the decision to wear the signet ring was encouraged by the actor portraying him, Henry Cavill, who enjoys wearing his own away from the film set. Today, signet rings are no longer the prerogative of the aristocracy (although some Hooray Henrys may disagree quite strongly). 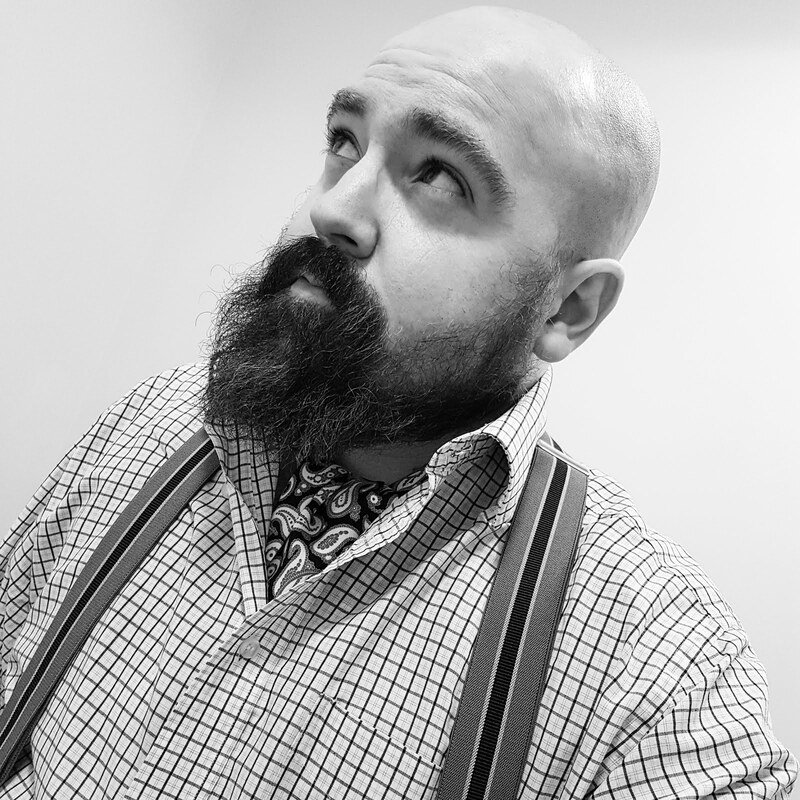 By adopting the traditional dress code of the upper classes and ignoring rules about no brown in town and so on, I feel like I am rejecting the rules of the class system. Wearing a signet ring is the next step on my gentleman's journey. Anybody can become a gentleman or lady. It is about the way you present yourself and your attitude, rather than the circumstances in which you were born. It's with that in mind that Rebus Signet Rings are making your favourite protagonist a signet ring featuring the new Norton of Morton monogram. Rebus Signet Rings are a London-based studio of craftsmen and goldsmiths, creating beautiful and talismanic signet rings. 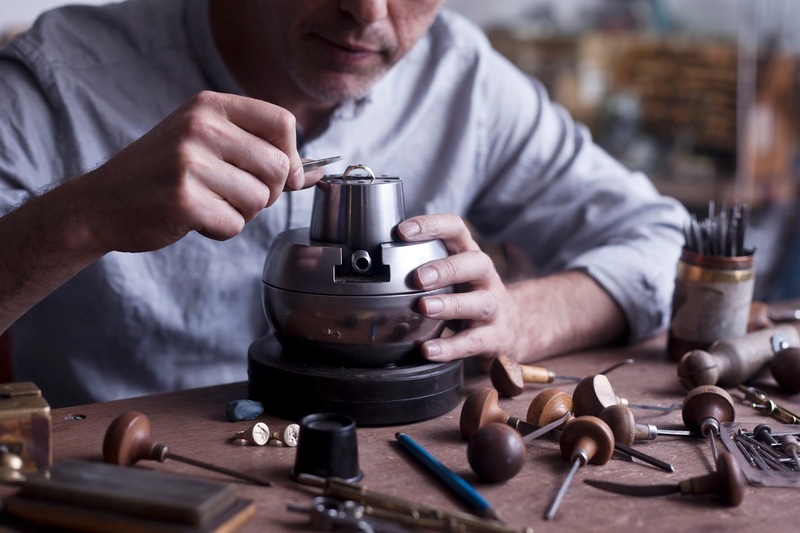 Residing in the heart of Hatton Garden, London's famed jewellery quarter, they are a super talented bunch that believe in using traditional hand engraving tools. As an indication of their workmanship, Rebus are the official engravers of the Wimbledon trophies. 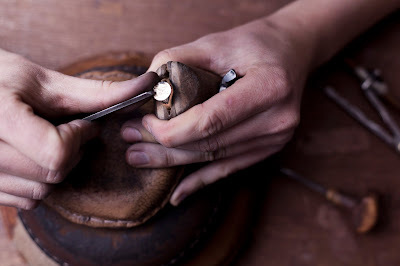 Specialising in signet rings, their work is absolutely exquisite and a true art form. Excitingly, Rebus recently opened up a York office, to allow more northerners to become patrons and commission new rings. Next week, I'll be sharing with you my visit to their workshop in the Big Smoke. Until next time!